Tor Classics are affordably-priced editions designed to attract the young reader. Original dynamic cover art enthusiastically represents the excitement of each story. Appropriate "reader friendly" type sizes have been chosen for each title-offering clear, accurate, and readable text. All editions are complete and unabridged, and feature Introductions and Afterwords. 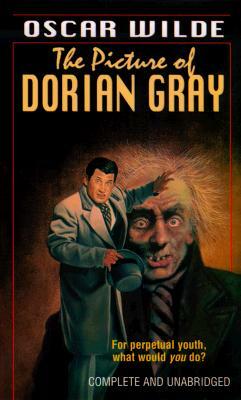 This edition of "The Picture of Dorian Gray" includes a Foreword, Biographical Note, and Afterword by Nancy Springer. When Dorian Gray, a wealthy but naive and irresistible young man, has his portrait pointed, he rashly wishes that he could remain as beautiful, youthful, and alluring as the handsome face in the portrait. Little does he know that his wish will come true. When encouraged by the decadent Lord Henry Wotton into a life of depravity and self-indulgence, Gray is stunned to discover that while the face in the painting is aging grotesquely, he is not In fact, he remains as beautiful as ever. Nothing ages him. But Gray's wanton lifestyle will eventually catch up with him, and the consequences of his reckless behavior will come to haunt him. Oscar Wilde was born in Dublin in 1856. In the years following his graduation from Oxford in 1878 he published poems and stories which included "The Picture of Dorian Gray." "Lady Windermere's Fan" was produced in 1892, "A Woman of No Importance" in 1893 and "An Ideal Husband" and "The Importance of Being Earnest" in 1895. Later work included "De Profundis" and "The Ballad of Reading Gaol." He died in 1900.